Ueno Farm's Garden Public in 2012October 8 (Holidays)We will do it. 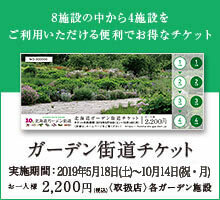 "Hokkaido Garden Road Ticket" can also be used until October 8 (Monday). "NAYA café" is open all year after the end of the garden, so please drop in when you come near you.For cafe customers onlyIf you wish, you can also walk in the garden where autumn work after closing will continue. 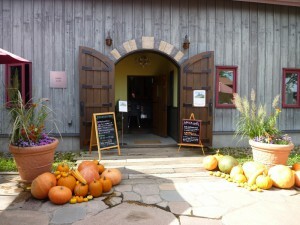 Guests who wish to visit should inform the cafe staff in advance. (◎ Please understand beforehand that depending on the work content of autumn, there is a day when large construction works and dangerous case can not be observed. If you have an Ueno Farm Annual Passport, please show your passport when you order meal and dessert at "NAYA café" after the garden closes and you will see a drink1 cup free serviceI will do. Since you can use it many times when coming to the store, please keep passport importantly in winter as well! Winter opening hours of "NAYA café"